If you are plagued by frequent urination burning urine or recurrent bladder and kidney infections then let the extract of cranberry and dandelion coupled with vitamin C help you solve this problem naturally. Our Herbal Urinary Health Capsules are formulated to reduce any urinary tract or bladder infection, reduce the discomfort of such urinary infections and uses the natural healing properties of cranberry dandelion, uva ursi plus pure vitamin C. So should you suffer from a frequent urge to pass urine with a burning sensation, or experience an intense pain when urinating which can be accompanied by dark cloudy and foul smelling urine – then this capsule is for you. Burning urine and the constant need to urinate is a good indication that you either have a urinary tract or bladder infection. Since some people suffer from recurrent infections and inflammations we especially developed these capsules with these people in mind. Herbal Urinary Health Capsules are the most herbal and natural way to keep urinary tract infections in check and is used by some people on a constant basis to prevent recurrent episodes. The capsules can however be taken if and when required as they are quick acting and relief is rapidly experienced. There is one oddity in the formula however – we have cranberry and dandelion in the formula to work their magic but also include uva ursi. Modern herbal research however indicates that uva ursi is not that effective in a acid environment – such as the positive effect created by cranberry in our formula. We have however included uva ursi, as we have found that it still for some unexplained reason helps to clear up urinary infections even when used in a acidic environment. Men and women frequently suffer from mild urinary tract infections and although medical attention must be sought if the problem is not resolved, or if the problem is accompanied by other symptoms, such as fever, our capsules are the perfect way to sort out urine and bladder infections. As a point of interest – women seem to suffer more often from urinary tract infections than men. 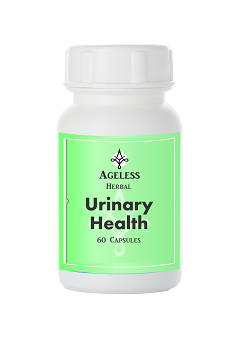 Our Herbal Urinary Health Capsules will quickly ease the frequent urge to urinate reduce the burning sensation or intense pain when urinating and will also sort out dark cloudy and foul smelling urine. The capsules have an unique and extraordinary formula, in which a blend of various pure herbs and natural ingredients are combined to create this remarkable product. It contains the following herbs and natural ingredients: cranberry extract, dandelion, uva ursi and vitamin C.
To place these herbs in perspective, and the reason for their inclusion in our Herbal Urinary Health Capsules, we have included a short summary of each ingredient used. It is used for the treatment and prevention of urinary infections, as well as kidney disorders. Studies also prove that it is effective in treating bladder infections. It also shortens the duration of any urinary tract ailment and helps to relieve any pain, burning and itching. Although it was first thought that it was the acidic nature of this herb that prevents bacteria from flourishing, it is now established that it contains a compound that prevents the adhesion of E. coli to the bladder wall lining. Since the E. coli cannot adhere to the environment, there is no infection. It is also used for incontinence and for cystitis. Cranberry seems to enhance the effect of antibiotics when taken for more serious urinary tract infections, and antibiotics can be used while taking cranberry. Dandelion is used internally for gall bladder and urinary disorders, jaundice, cirrhosis of the liver, dyspepsia and constipation, edema associated with high blood pressure and heart weakness. It has a diuretic effect, yet causes no potassium loss – and is in actual fact rich in potassium. The diuretic property is very useful in bladder infections, where retention of urine can be a problem. The bitter substance in the herb also stimulates digestion. In Chinese medicine it is used for lung and breast tumors, abscesses, as well as hepatitis. The high content of inulin makes it useful for people with diabetes. It is used with great success to treat infections of the lower urinary tract and vaginitis. It is also used with good results for cystitis, dysuria, pyelitis and lithuria. It is also effective in paraplegic patients with recurrent cystitis, resistant to conventional antibiotics. The active ingredient is arbutin, which acts as an antiseptic for the urinary tract. We use vitamin C in this formula, together with the other herbal ingredients, to boost the levels of vitamin C already contained in the cranberry extract. Take one to two capsules daily an hour after your main meal. In severe cases of urinary tract discomfort the dosage may be increased to 4 capsules. No side effects have been reported when taken at the recommended dosage. People taking blood thinning medication or suffering from kidney stones, heart conditions, palpitations, high blood pressure, fluctuating blood glucose levels or women who are pregnant or breastfeeding should first consult their health care professional before taking the capsules. Herbal answer to sort our urine and bladder infections. Helps to clear infections and to stop burning urine. Affordable supplement with excellent results.